We represent the WHOLE region! Our viewers Know Before They Go. 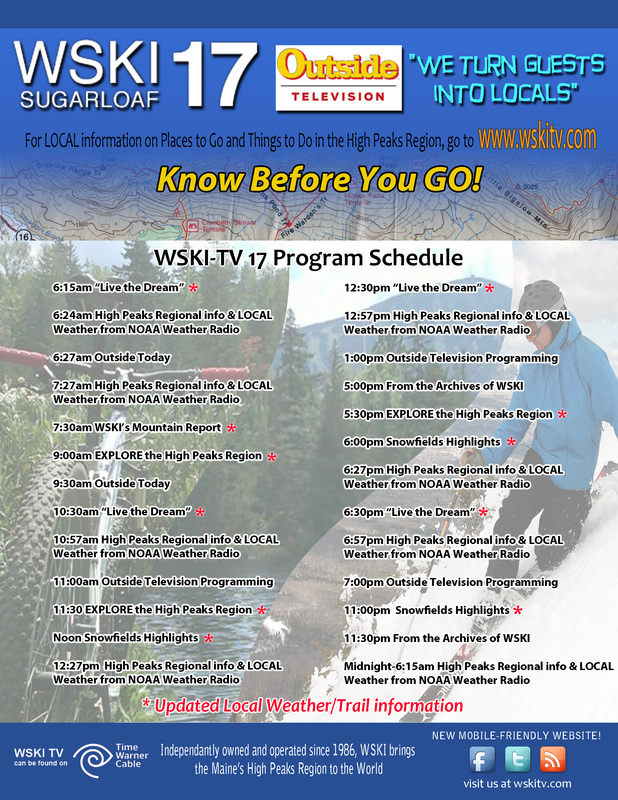 Our Region’s Guests have a better experience here as a result of our information, & our Sponsors get the chance to use our services to increase their exposure all year round with timely messages, not just available on Cable, but here, too. Love Our Sponsors. Love the Maine High Peaks Region. This is why YOU love WSKI & have made us the Most Watched Local TV Station for over 30 years…..!